Make sure you know the law as well as the numbers to call if you accidentally hit an animal while driving. The rules vary for different sizes of animal. While we really hope you never need to know what to do if you accidentally hit an animal when driving, it’s worth having some information just in case. Stay calm (as much as possible), take deep breaths and take a minute to assess the situation. If you stop, make sure it’s safe to do so and you’re not causing danger to yourself or other road users. Remember to be aware of your surroundings – keep an eye out for other cars or anything that could put you and other road users in danger. If you realise you have hit someone’s pet, you may want to try and find its tag to get hold of the owner’s details. Remember if you hit any of the animals listed at the start of this post you are legally required to report the accident to the police. If you can’t find any information about the animal’s owner, you need to report the accident to a police officer or at your local police station within 24 hours. If you find an injured wild animal on the road, try and get an idea of how badly hurt it is. No one wants to think about his or her cat being harmed, but it’s worth knowing what to do just in case. Find your local vet here. 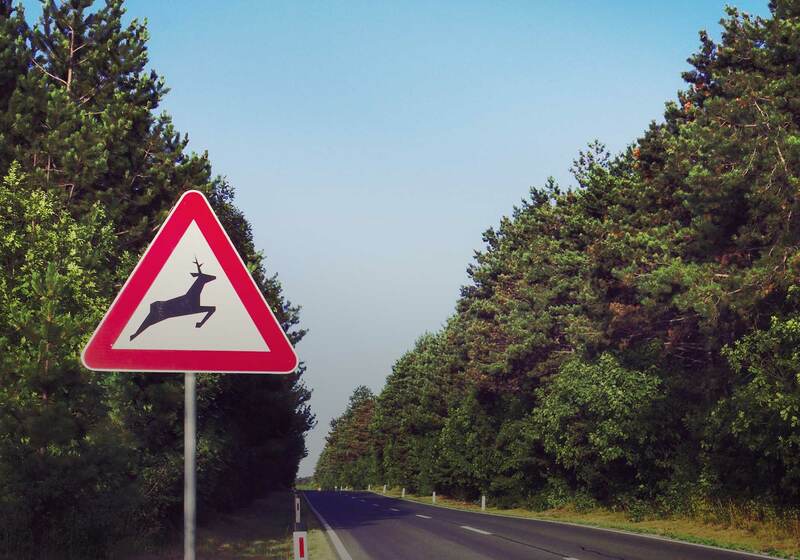 Fact: There are around 74,000 accidents involving deer each year in the UK. Your local council is responsible for removing any animals found on the road. Click here and enter the postcode of your location to find the relevant contact number. For information on making a claim following damage to your car, check out our guide. We hope you’re never involved in a car accident with an animal, but you might want to save the RSPCA’s 24-hour advice line number to your phone, just in case: 0300 1234 999.